Our partnerships are an essential element to the success of PalmettoPride. Ranging from a two-person Clean Team to a statewide association, the commitment to a clean South Carolina leads us forward on a daily basis. Palmetto Conservation Foundation and PalmettoPride teamed up in 2016 for the Great Trail Cleanup of South Carolina, our 2016 Great American Cleanup campaign. We enjoyed working together, connected with some great United Way businesses and we decided to keep our partnership going. 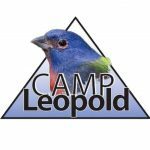 Camp Leopold is a school-year camp program that brings the students out of the classroom for a hands-on learning experience in the great outdoors .The mission of Camp Leopold is “To create an ecologically literate citizenry by heightening student awareness of the natural world, fine-tuning the skills necessary to read the landscape, and instilling a love, respect, and admiration for the land so that each individual might develop a personal land ethic.” We are excited to sponsor the Human Impact course and help educate students on how litter impacts the environment. South Carolina High School League is a new partnership for us, and we look forward to seeing how it goes. We know that many of our state’s high school students participate in community service activities, but a lot of these students don’t get credit for their efforts. Working with the SCHSL, PalmettoPride will help school sports teams maximize their efforts and get kudos for doing it in the process. Palmetto Prideway partners fund interstate pickup efforts. These ambassadors of corporate goodwill sponsor sections of interstate for cleanup by our friends at the SC Department of Corrections. Recognition signage is posted at the beginning of each section on both sides of the interstate giving sponsors maximum exposure to the millions of drivers on our interstates. We encourage all companies to look into sponsoring a section of interstate. Organized in 1987, the South Carolina Litter Control Association (SCLCA) promotes litter enforcement, protects the environment and helps to heighten public awareness of the problems associated with litter. PalmettoPride works in partnership with the SCLCA to improve litter control enforcement practices across the state, co-host training opportunities and coordinate other special activities. Annual events include Zero Tolerance for Litter and the annual conference. The USDA Francis Marion National Forest is one of our longest standing partners in cleanup. We have been hosting an annual cleanup of the forest since 2006. The cleanup always takes place on the first Saturday in February. We have an average of 300 people attend the cleanup and lunch. We rebranded our community cleanup program to engage a long-term commitment for community cleanup. Clean Teams incorporate Adopt-A-Highway, Monofilament Recycling and all other community cleanups. We work with individuals, groups and even towns on adopting areas for cleanup. Friends of the Edisto and PalmettoPride have embarked on a joint venture aimed at cleaning up the boat landings on the Edisto River. The Edisto River is the longest undammed blackwater river in North America spreading across 11 counties in South Carolina. Outdoor enthusiasts have long-loved to tread its waters, and boat landings dot its banks from the headwaters to the coast. FRED members, outdoor enthusiasts and other volunteer groups, are being asked to commit to regular litter pickups at their favorite boat landing along the Edisto River. Palmetto Outdoors is a tubing and kayaking outfitter on the Lower Saluda River that also hosts guided trips in the Congaree National Park and walking tours along the West Columbia Riverwalk. With the combined experience and thorough procedures of their staff, they can offer any age group a safe and fulfilling experience that truly encompasses what it means to be in the great outdoors. Walther Farms is a 3rd generation family owned business headquartered in Three Rivers, Michigan. Beginning in the 1940’s, their company expanded from a few vegetable acres of backyard hobby farming, to what has now become over 18,000 acres of commercial and seed potatoes grown throughout the United States for the potato chip and fresh produce markets. Their Windsor, SC location hosts a variety of crops throughout the year. The farmers at this location also participate in events with PalmettoPride and Keep South Carolina Beautiful, such as Adopt-A-Highway and Adopt-A-Landing events. 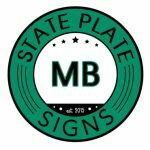 Based in Hopewell NJ, State Plate Signs can make your one-of-a-kind custom license plate sign or craft. All items are made from recycled license plates, each piece unique and customizable as your imagination. Their most popular item, the “barn star” can be made with your own license plates (5 plates needed).